Super map, and very clear, but I have one small problem with its title. This map is of Israel, not Palestine. Thanks Roger. 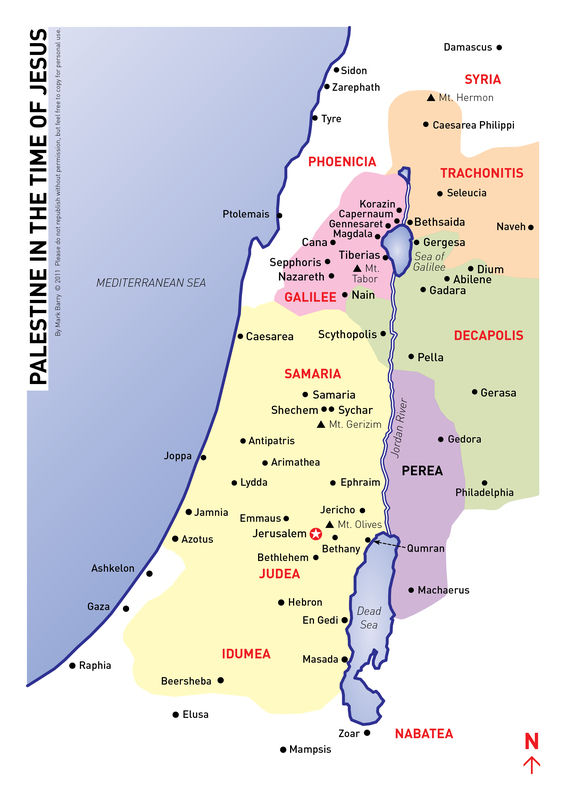 I went with the title ‘Palestine’ for the map since that was the collective name for all these regions in the time of Jesus, i.e. during the Roman occupation. But I take your point. Yes, Nick. Feel free to use the map. Hello! My name is Alina Muresan and I am from Romania. I would like to ask for permission to use this map in a book that I’m writing for my students. I would credit you and your site, of course. Thanks and best regards! I am waiting for your answer.